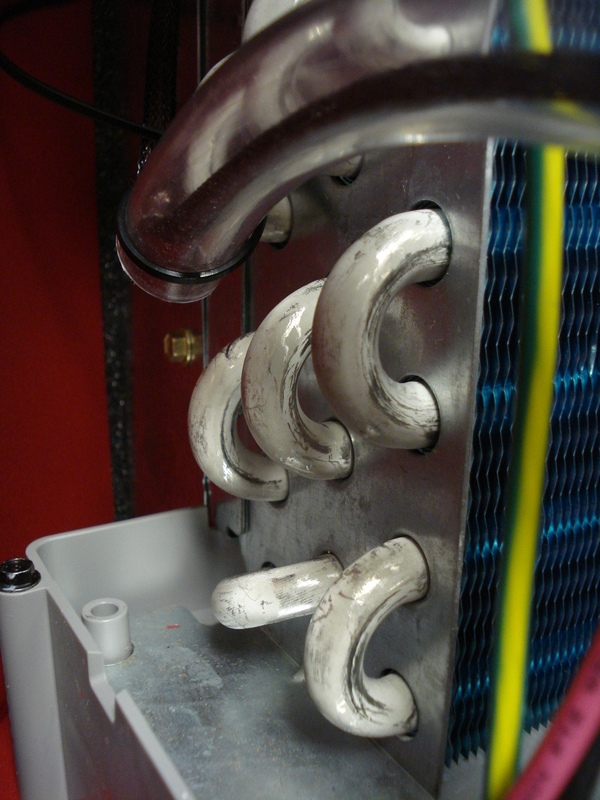 Ecotope led a large, region-wide effort to validate the energy savings estimates of heat pump water heaters (HPWH). This was the first, large-scale project to be fully carried out within the new Regional Technical Forum (RTF) savings evaluation framework. Ecotope conceived the study to provide a comprehensive, integrated analysis of all the Northwest HPWH related research over the past five years while operating under the RTF guidelines developed in the past three years. The study consisted of directly monitoring HPWHs in 50 sites, integrating the work of two previous field studies, validating the SEEM energy simulation of HPWH interactions with houses and creating an active unit energy savings (UES) measure for the RTF. Fully cognizant of the RTF process, Ecotope designed the project to comply with the Forum’s guidelines every step of the way from inception to completion. Ecotope has been involved with the most recent studies of integrated HPWHs in the Northwest since their introduction in 2009. Working with RTF staff and RTF members, Ecotope developed a provisional UES measure for HPWHs which was approved in 2011. As part of the provisional measure requirements, Ecotope drafted a validation research plan which was also approved by the full RTF. 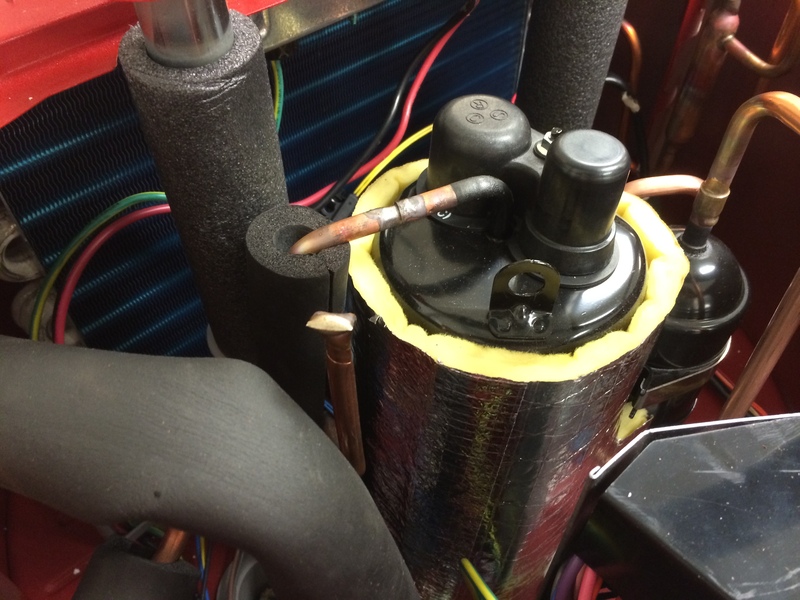 Subsequently, the RTF formed the Regional Heat Pump Water Heater Evaluation subcommittee to oversee the research plan and guide the UES measure from provisional to active status. Ecotope actively participated in the committee to further expand the research requirements while incorporating feedback from the RTF. Field Metering. 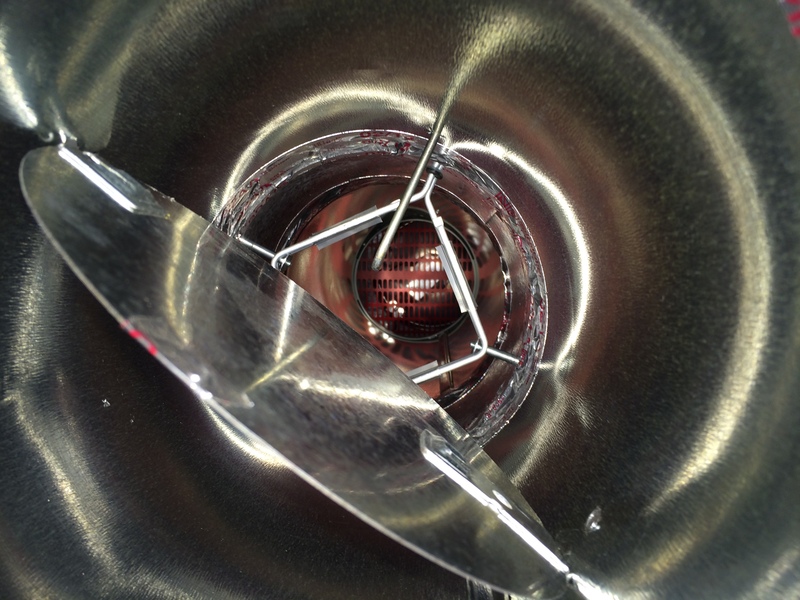 In the initial phases of the project Ecotope identified the need to study 50 additional HPWH installations in the field in order to obtain a robust engineering sample of the population. 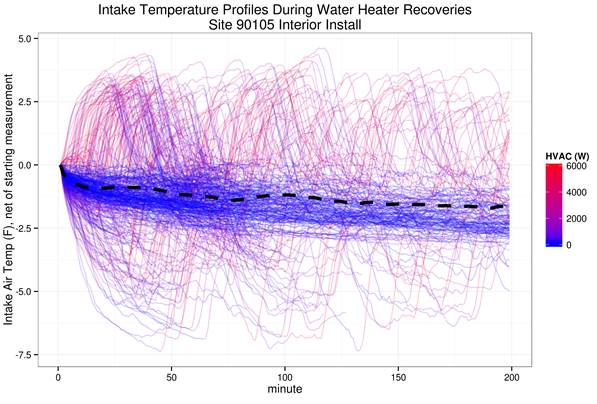 The field meters record information on water heater conditions and heating system energy use to inform the validation of an engineering simulation. Data Integration and Validation. Ecotope incorporated two earlier HPWH field studies (40 sites and 30 sites each) to construct a complete dataset to validate the SEEM simulation against. All the data was integrated together to provide a coherent and central dataset. Validating an Engineering Model. The last major analytical phase of the project validated the SEEM simulation against field data. 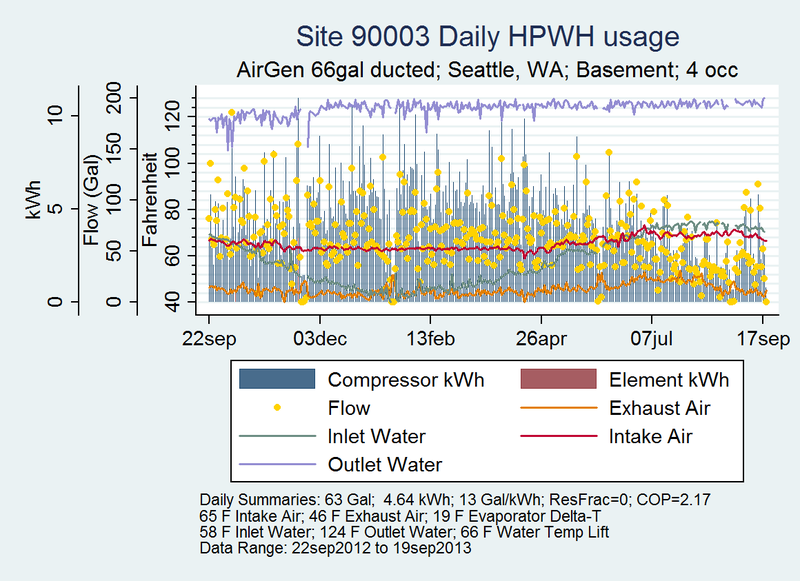 The complicated, interacting nature of the HPWHs required a detailed simulation in order to generalize energy use and savings for an active UES. Throughout this phase, Ecotope used its expertise in the area to harmonize methods with the RTF guidelines.